I feel like no matter how old you are, you simply can’t go wrong with a grilled cheese sandwich, which is why I decided to make one for the Improv Cooking Challenge this month. The two ingredients were jalapenos and cheese. Which are also two of my favorite pairings. Needless to say, I’ve been pretty excited for this ingredient combination for quite some time now. There are thousands if not hundreds of thousands of recipes that I could making using the two ingredients, but I got the idea to go sweet and spicy. And the idea to add strawberry jam and jalapenos to a classic grilled cheese sandwich was born. 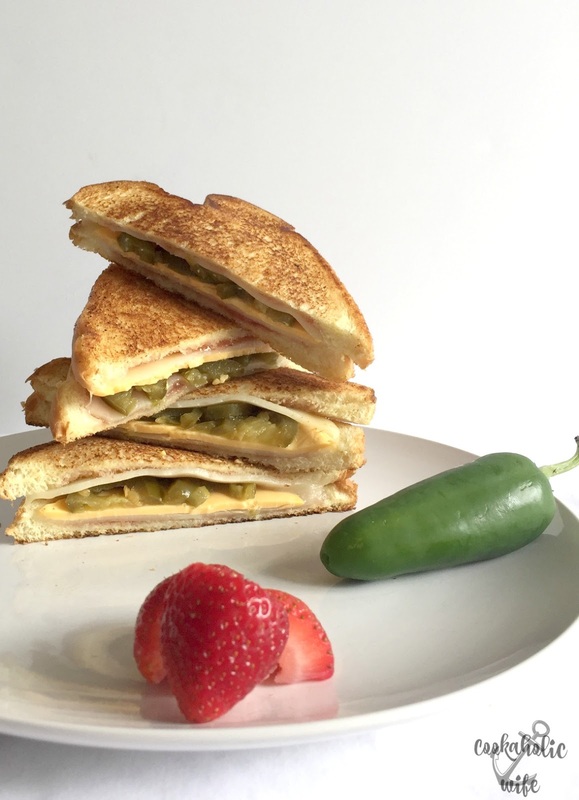 Grilled cheese undergoes a transformation by adding jam and jalapenos. 1. Divide strawberry jam and spread onto one side of each of the four slices of bread. 2. Layer two slices of cheese of your choice, followed by half of the pickled jalapenos. On the other half of the bread, place one slice of cheese and place on top of the other, creating a sandwich. 3. Repeat with the remaining sandwich, then divide the softened butter, spreading it on both outside pieces of each sandwich. 4. Heat a skillet over medium high heat. Place the sandwiches in the skillet and cook for 2-3 minutes or until golden brown. Flip each sandwich over to cook the other side. 5. Reduce the heat to medium low and cover the skillet, allowing steam to finish melting the cheese. After two minutes, check the sandwich for doneness, cooking another minute or so until the cheese has melted and both sides of the bread are golden brown. 6. Slice in half and serve immediately. Whatever expectations you may have when hearing about a sweet and spicy grilled cheese, this sandwich meets. There is this faint hint of sweetness from the jam, a kick of spice from the jalapenos and the wonderful flavor of bread, toasted with butter. And the cheese of course, but I’ll leave it up to you to decide which cheeses you’d like to use. 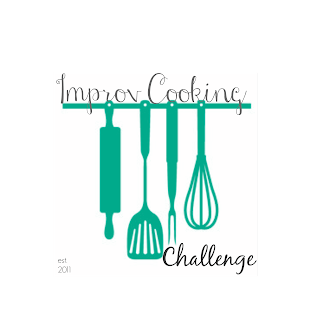 If you’re interested in participating in the Improv Cooking Challenge, read more about it on my page or check out our Facebook group. We post on the second Thursday of every month and ingredients are paired together at the beginning of the year to give bloggers tons of time to try our recipes and decide what they will make. This looks totally amazing! I love the sweet-hot combination, and can't wait to try this! What a genius combination! Thanks for sharing this. I'll definitely be making it. I could eat grilled cheese every.single.day. 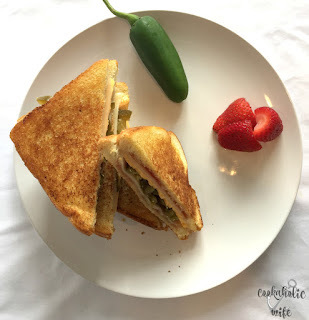 And I'm just now "warming up" to the strawberry/jalapeño combo — YUM! Thanks for another brilliant challenge! 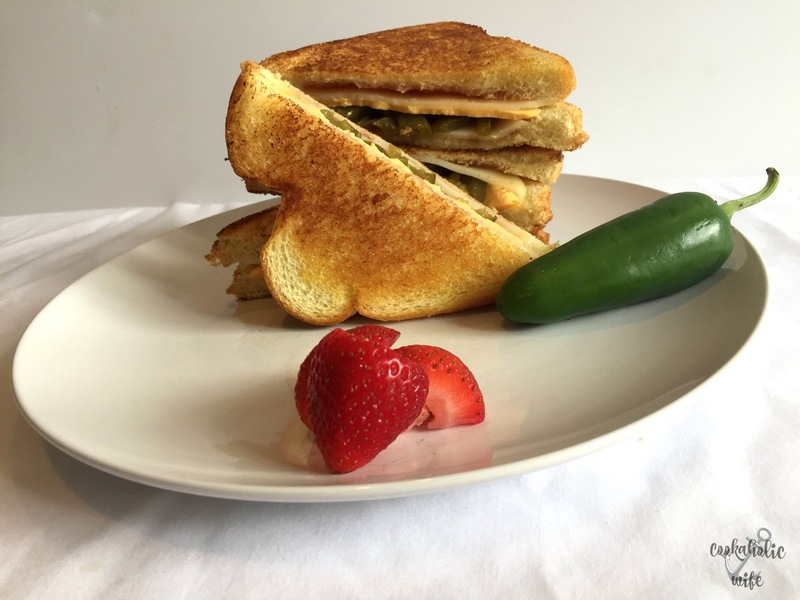 YUM Nichole, I have some jalapeno jelly left from what I canned last year and it will be perfect on a grilled cheese sandwich. Thanks for the idea. Strawberries and Jalapeno's, now that's a combination I have to try. I love sweet and spicy together. I Love this creative take on grilled cheese Nichole! A little savory, a little spicy, and a touch of sweetness to balance. Yum!